The diameter of the main lens or mirror of a telescope (or binoculars) is known as its aperture, and it defines how much light it gathers. 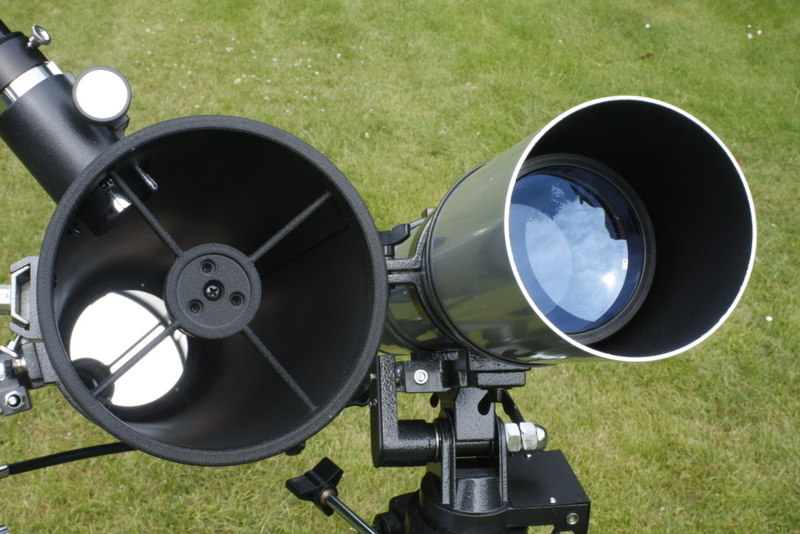 A small telescope might have an aperture of 60 mm (or even less in the case of a finder scope or binoculars), while large amateur instruments have apertures of 355 mm (14 inches) or more. The larger the aperture, the more detailed the images it gives and the more magnification you can use without the image getting too dim.